Good gravy this took a while. This amazing space is actually quite big so removing all of the stuff that was stored there, fixing up the walls, painting the walls, floors, and ceiling, and cleaning everything took a long time. But I have been in my BEAUTIFUL finished studio now for a couple of months and I am loving it. Everything has a place and my love of being organized can so easily be fulfilled. I can go from cutting wood to painting to sanding to staining so quickly. Above is a panoramic picture of my studio. 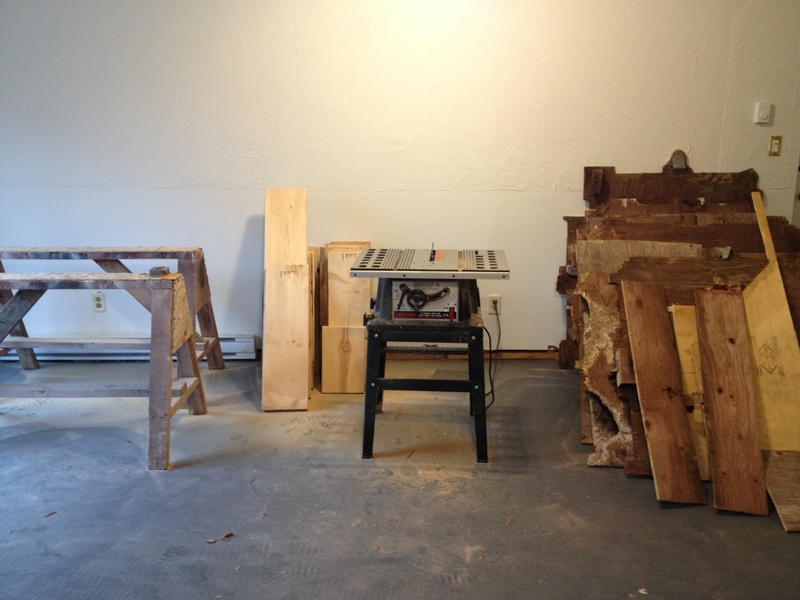 To the left is where I store all of my unprocessed wood and cut this wood down to size. 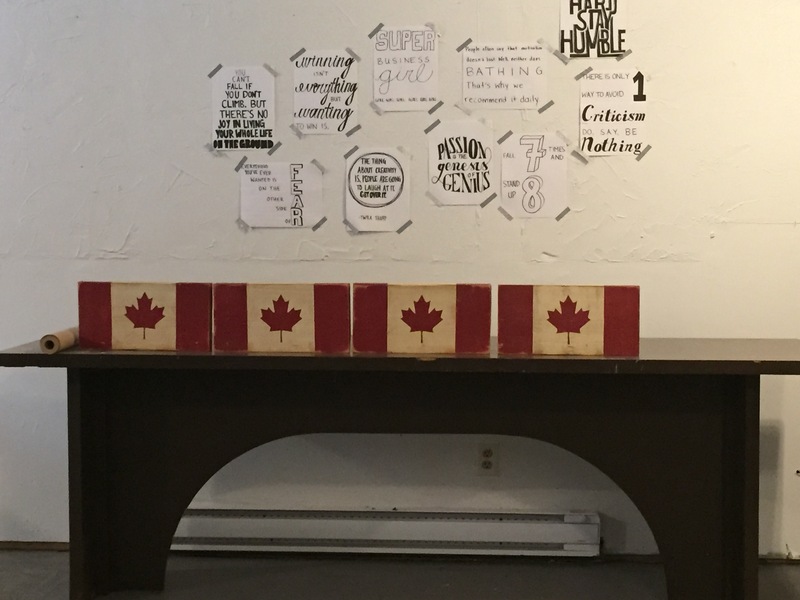 I love how this section is organized and cutting the wood has gone from my least favourite part of making the flag to my second favourite part, right after painting the flags. You can see my stack of wood and table saw sitting there. To the right of the cutting section is my inspiration wall and finished flag wrapping station. I’ll have to post a picture of all of my inspirational quotes one day. They are helpful when I’m feeling overwhelmed and I don’t have any coworkers to talk to so I talk to the walls. Oh, I’m crazy. Good. Great. In the middle of my panorama picture is WHERE THE MAGIC HAPPENS. Or where I paint. 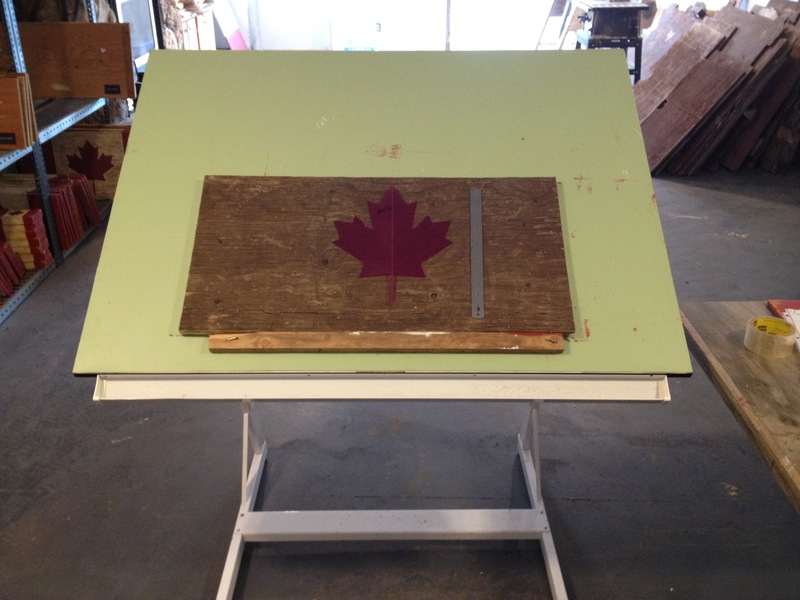 In the panoramic picture I don’t have my beautiful drafting table but the picture below shows it. The kitchen surrounding my painting station has everything stored away in a drawer or cupboard with labels on all of them. I’m sparing you a picture of my OCD cupboard labelling. You’re welcome. 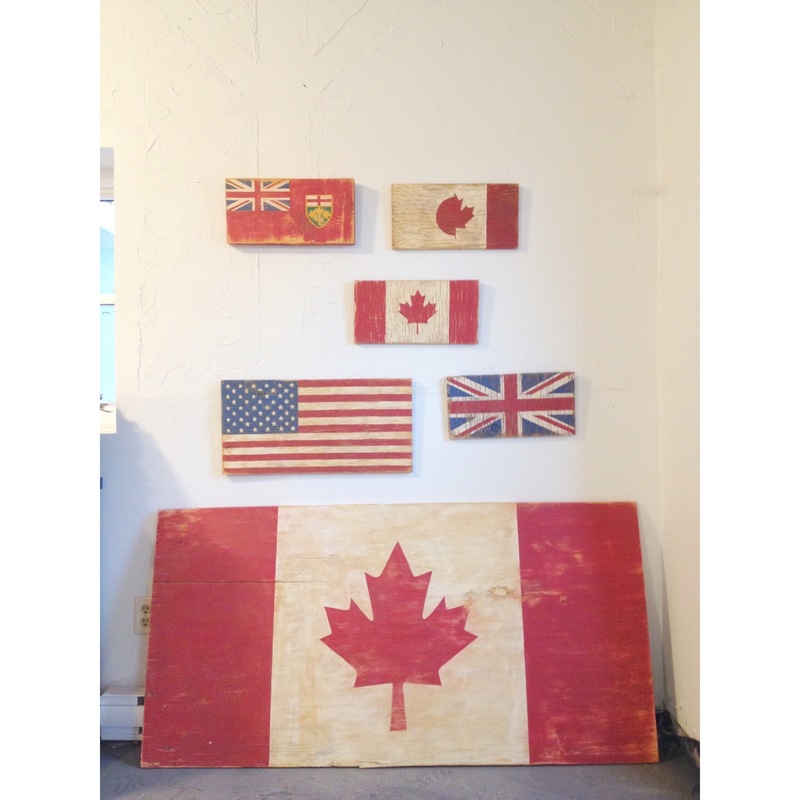 Further to the right in the panorama picture is where I sand and stain the flags. Lots of sanding dust collects there. 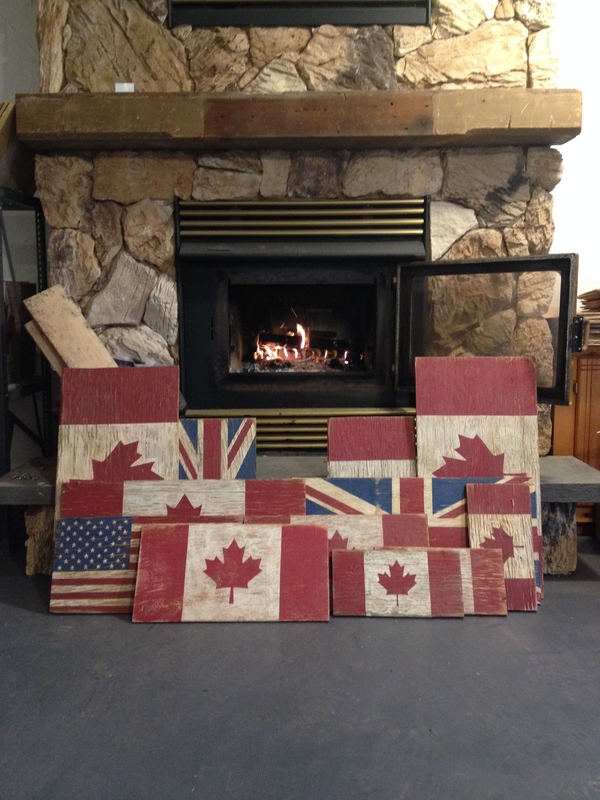 To the right of the sanding station is where all the finished flags are stored. I’ve reconfigured how the flags are stored a few times and I’m now super happy with the organization of things there. I’m prepping for One of a Kind in March so hopefully my storage section will be nice and full before then and I’ll post a picture on Instagram. (Follow me on Instagram). A fire is to the right of the storage because #swag. And as far right as you can go on the image is where I hang flags that are being picked up or I have to mail out. I couldn’t be happier in my lovely little (read: massive) studio.